So... pasta might actually decrease your waistline. 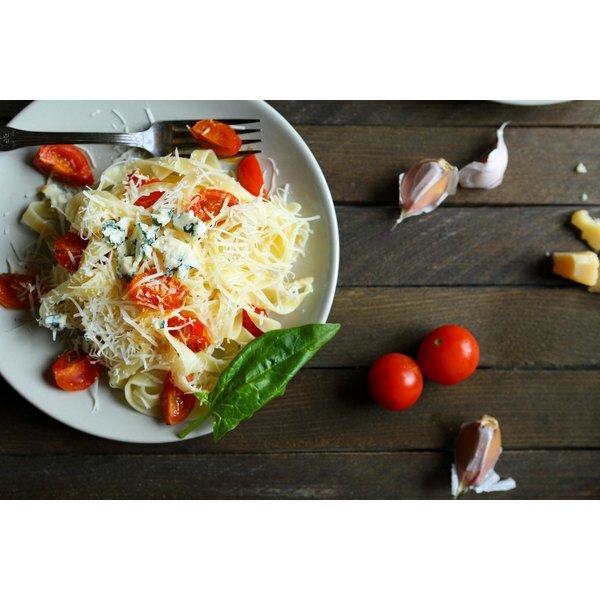 Break out the prosecco, because not just one but two Italian studies have found a correlation between eating pasta and having a healthy Body Mass Index (BMI). It seems that including pasta in a Mediterranean diet filled with things like fresh vegetables, seafood, legumes and olive oil is beneficial. How do they figure? A key part of the Med diet includes whole grains. So, don't get too excited because that probably doesn't include high-calorie Olive Garden-ish entrees or processed pasta sauce that includes a lot of added sugar. Traditionally, the Mediterranean diet promotes heart health rather than weight loss, yet one study in particular found that pasta consumption was associated with "lower waist circumference and better waist-hip ratio." Examining over 20,000 people, the two epidemiological studies by the Moli-sani investigators and INHES (Italian Nutrition & Health Survey) were conducted by the Department of Epidemiology, I.R.C.C.S. Neuromed in Pozzilli, Italy, and published in the Nutrition and Diabetes journal. Keep in mind, however, that the pasta intake was not studied separately from the overall adherence to a Mediterranean diet consumed in moderation. The diet has become one of the most popular, but some of its cons include the difficulty of finding sustainably sourced, affordable seafood and that adhering to the diet doesn't guarantee weight loss. The research also doesn't talk about how the pasta was consumed. 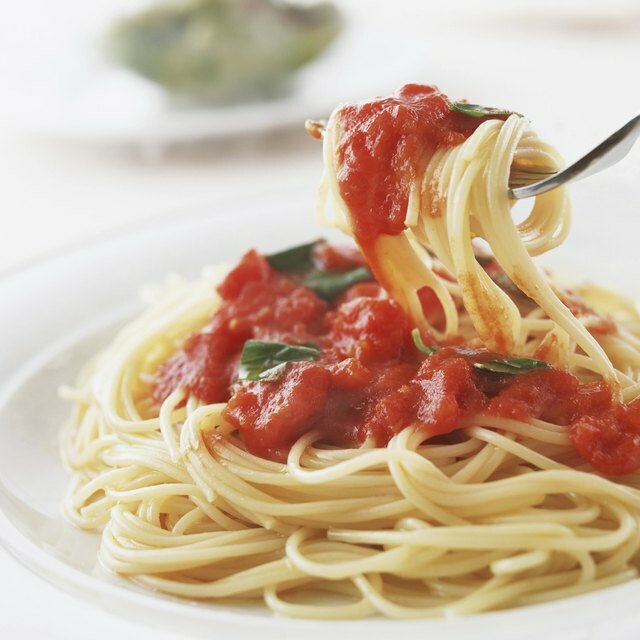 Whether it has been reheated before eating is important because one experiment found that cooked pasta that has been chilled and then reheated before eating actually inhibits the rise in post-meal blood sugar. Cooking the pasta al dente also has an effect on the glycemic index of the food as does the shape (spaghetti has a lower GI than macaroni). Valaer Murray is LIVESTRONG.COM's Editorial Director and has previously worked at AOL, Forbes.com and Whalerock Industries. She's a founding editor of TheDailyMeal.com, served as the head of programming for the Webby-honored YouTube Original Channel Tasted.com, and has written for numerous outlets.